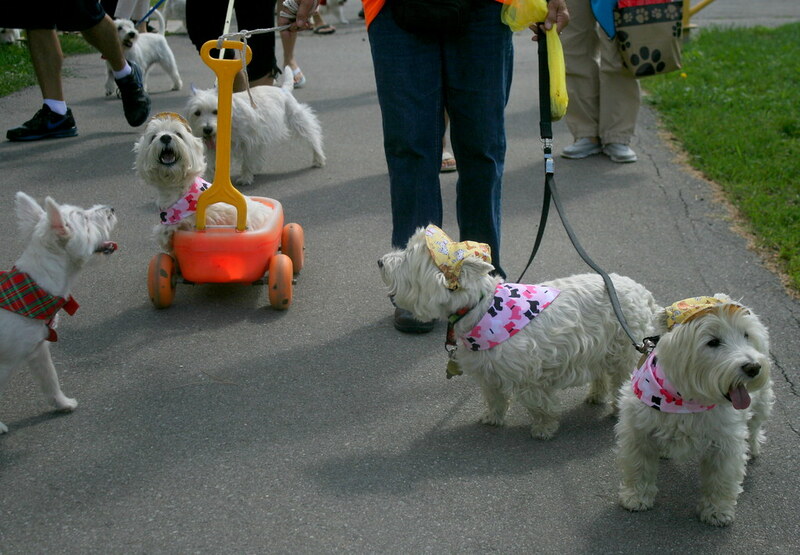 Ever since we got our little Westie, Lola, we have been attending the Toronto Westie Walk each Fall. This was our fifth year at the walk, and my third year volunteering to take photos. 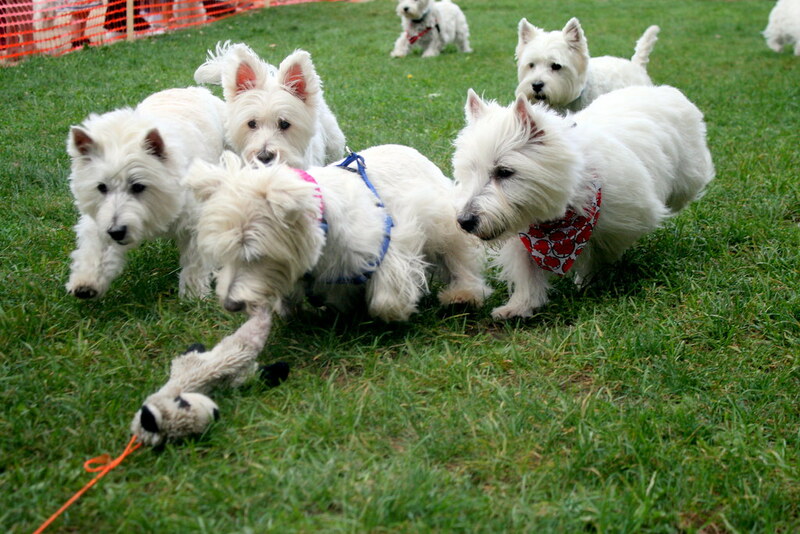 The first walk was held many years ago with just 7 dogs in attendance. 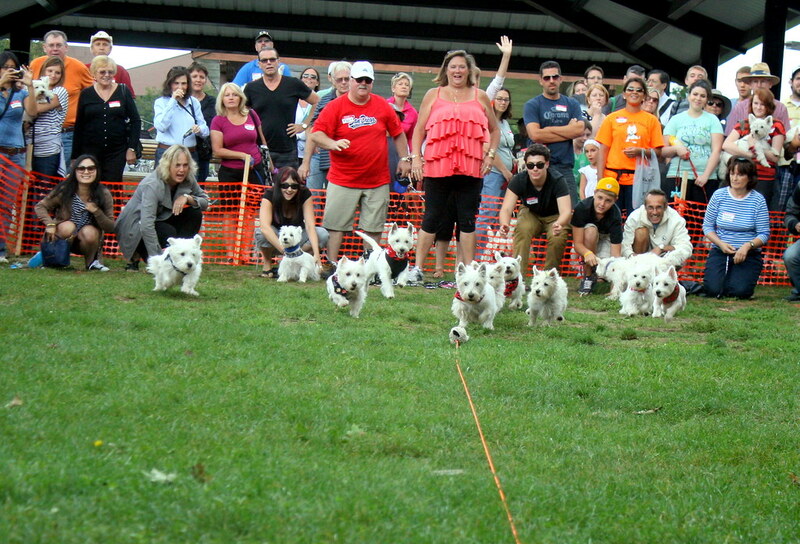 This year it has grown to 320 Westies! It has become one of our yearly traditions that we look forward to every September. Jer and I are hoping that next year we will be able to begin sharing this tradition with a little one of our own. 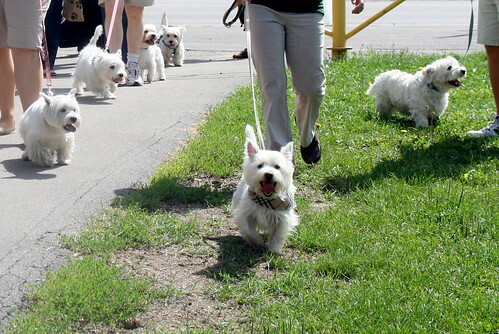 The walk itself is a short trip around the park and down the road where passers by stop and stare at all these white dogs walking by. 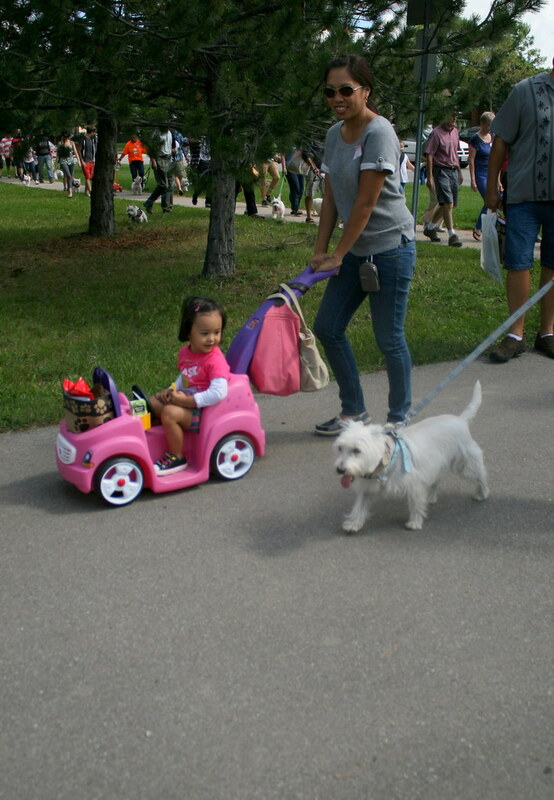 Dogs and families make their way around the park in many different ways. 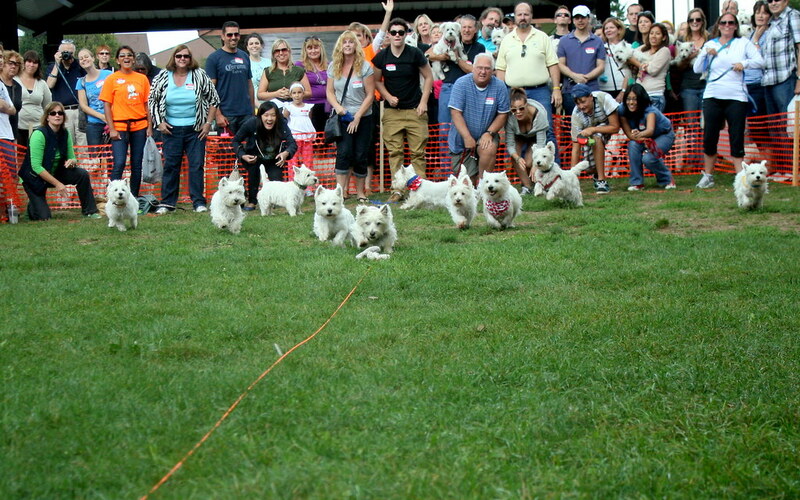 After the walk there is the Parade of Rescues to honour all the special rescued dogs (many of them from Westies in Need, the organization who puts on the Westie Walk), and then lots of fun and games, including our favourite - the Westie Races. This last one was Lola's race. She's second from the left. During the raffle there is always time to relax and admire the tiny ones. 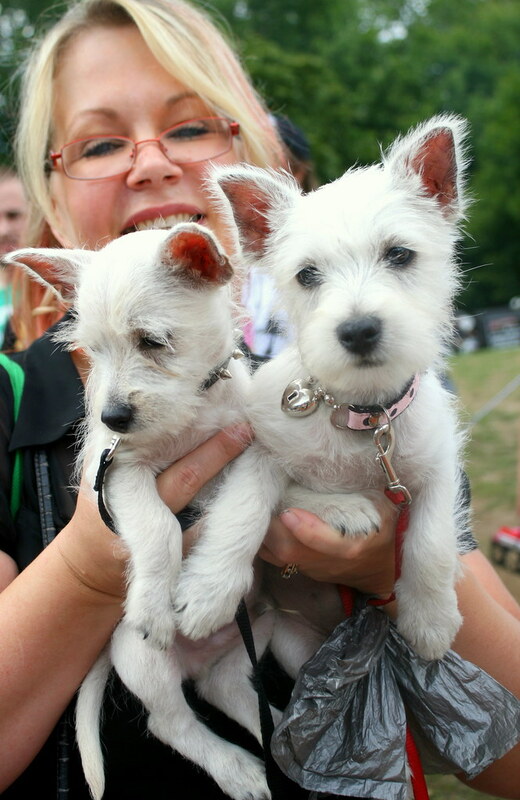 There are prizes for the oldest and youngest Westies in attendance, the family that travelled the furthest, and those who raised the most money..this is the resuce's main fundraiser after all! I don't remember Lola ever being this tiny! 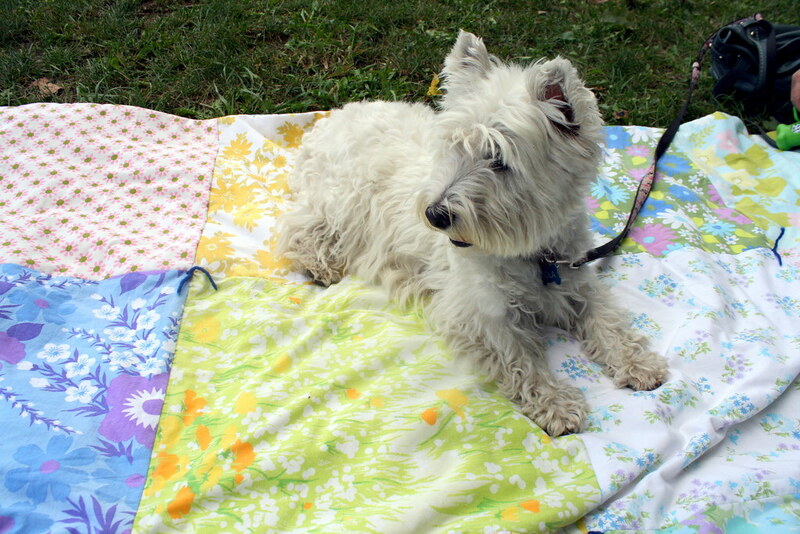 After a long day, families begin heading out, however they arrived..
After thanking Corrie (the wonderful lady who runs the rescue and does all the planning for the walk) for a wonderful day, we always lay out a blanket and have a picnic lunch, enjoying the early fall weather, before we leave. 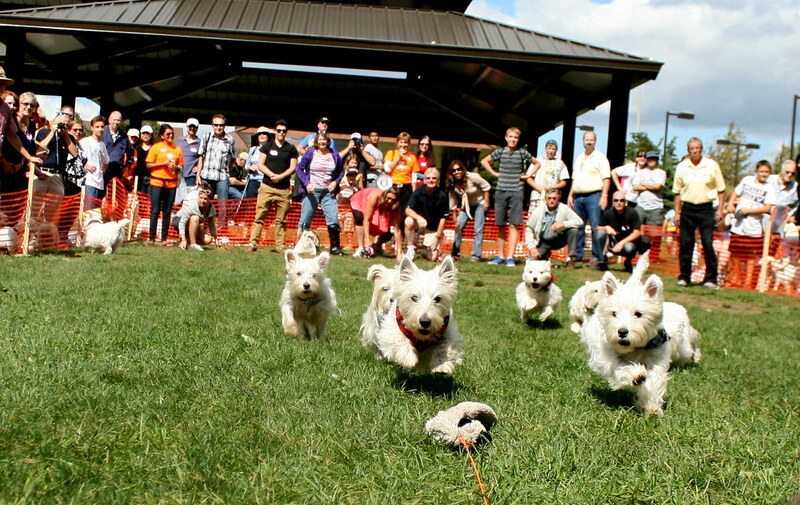 I love the westies so much! 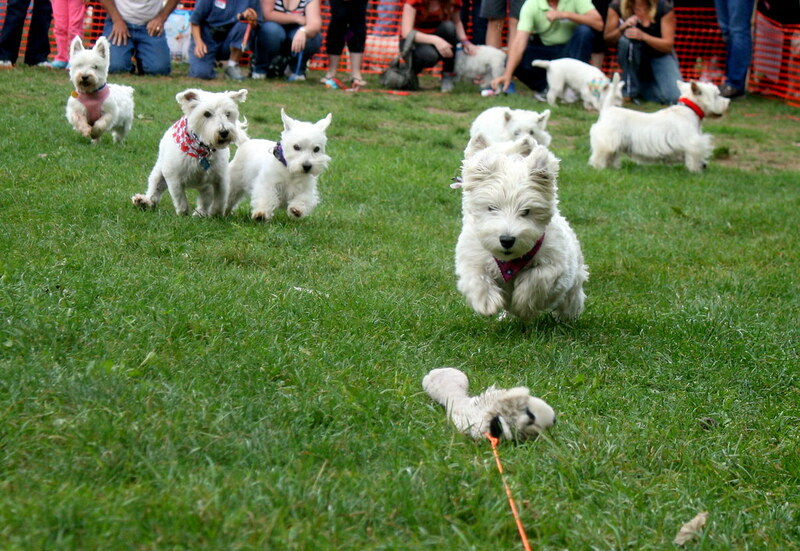 There's a lady with a westie down the street, and I always say "hi, my westie friend!" 'cause she's awesome. Not Lola-awesome, but awesome in her own special way. 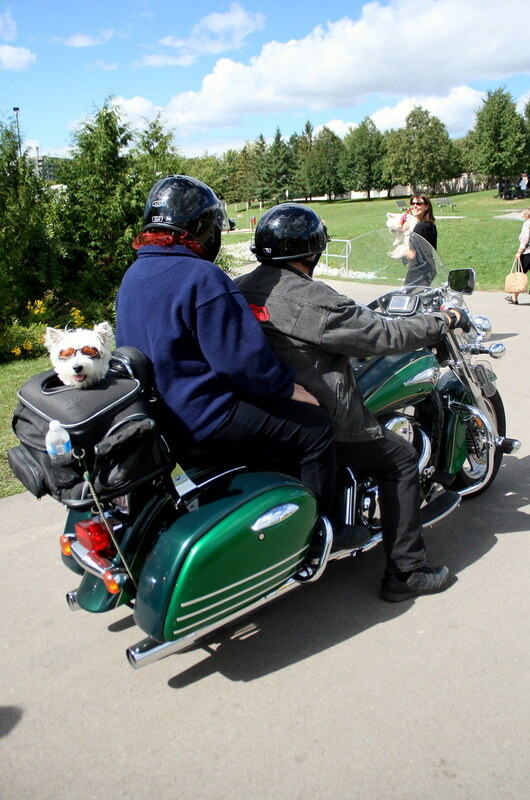 Sarah - I loved the little dog on the motorbike too. It was the cutest thing and you can bet they got a lot of attention! Carrie - I love that you do that! 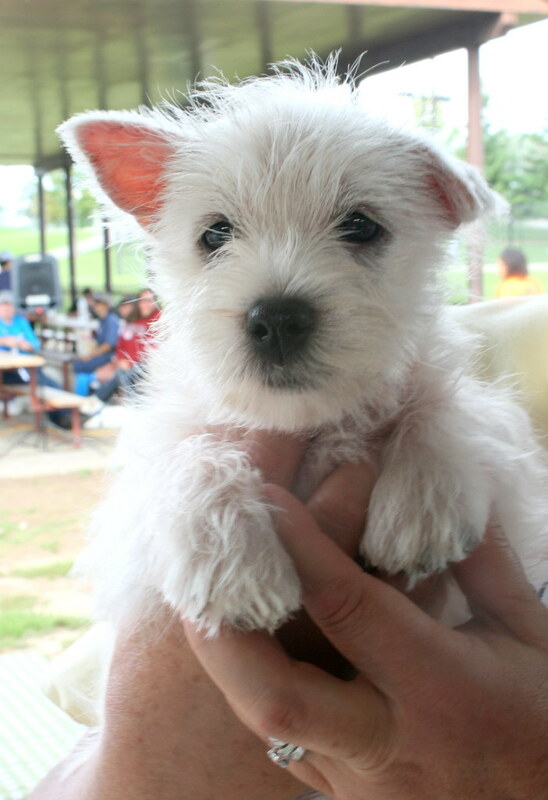 I don't think any Westie can top Lola, but I may be a teeny bit biased. Great write up! We were there as well (as we are every year). See my blog write up if you have a chance!